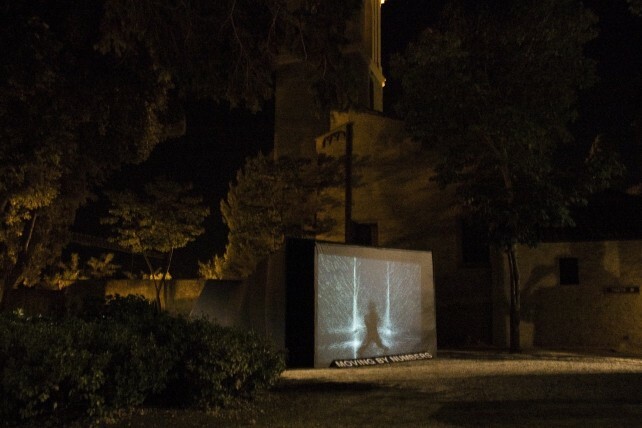 with the help by: ENSCI, La Maison Pop, Le CCN d’Aix en Provence – Pavillon Noir, École de Beaux Arts d’Aix-en-Provence. 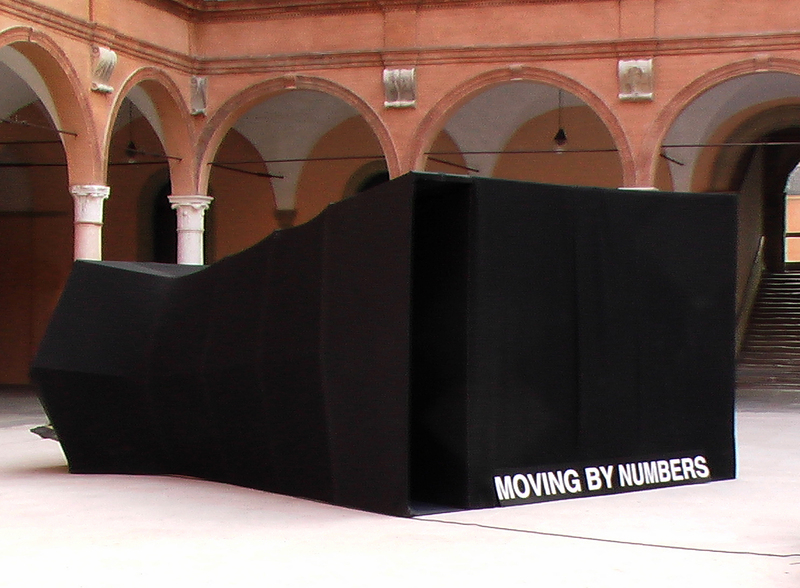 The experience takes place in an autonomous architecture covered by a black elastic rubber skin. 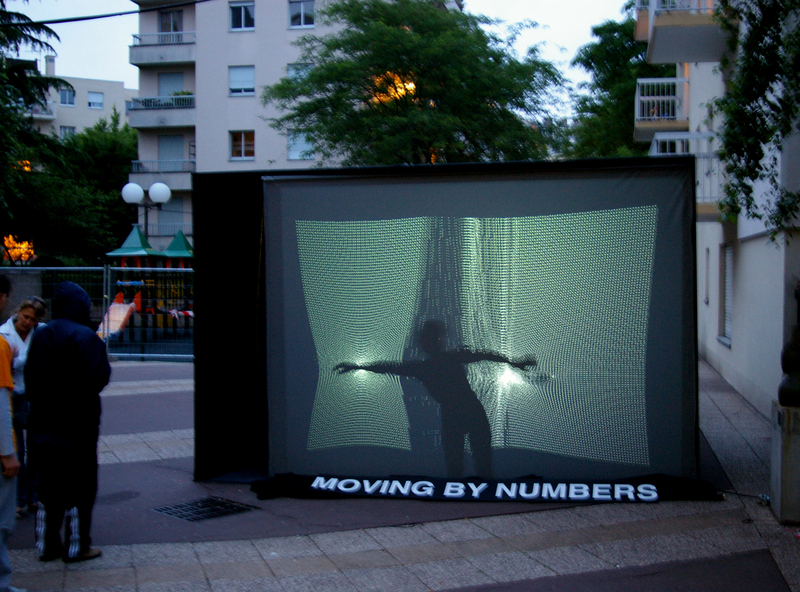 Every ten minutes, a single spectator is taken inside this organism. 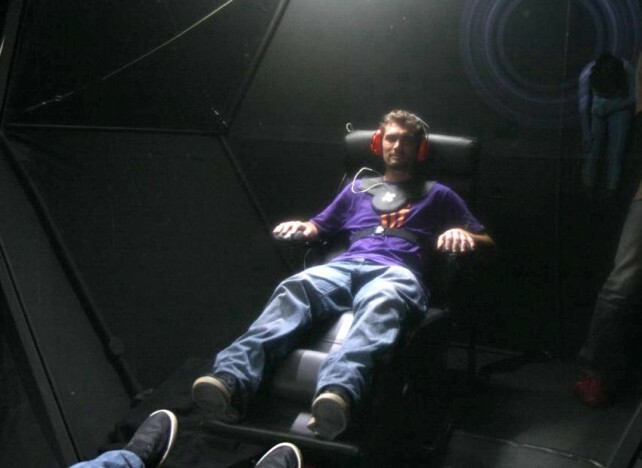 Facing a mirror, he sits into a chaise longue equipped with an audio system that broadcasts the performance’s sound directly into the spectators body, without passing by his ears. A breathing sensor is mounted around the spectators chest . 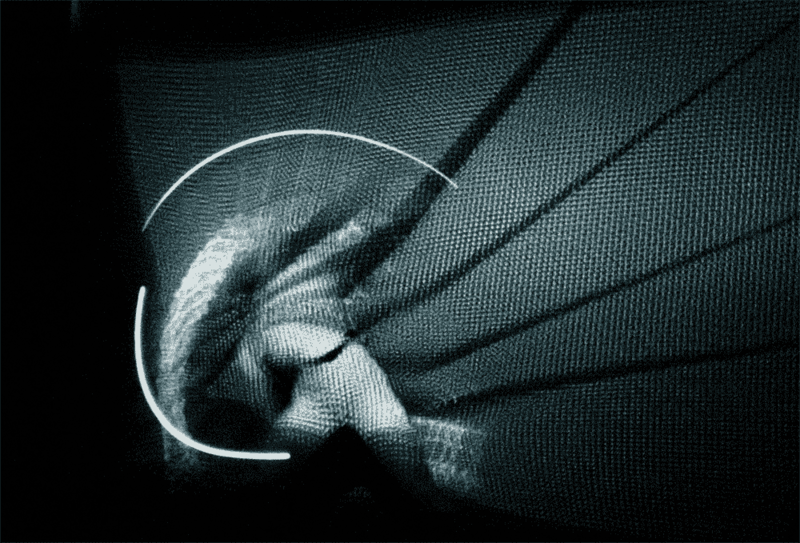 When the light dims, the spectator discovers behind the mirror a second space with a dancer. 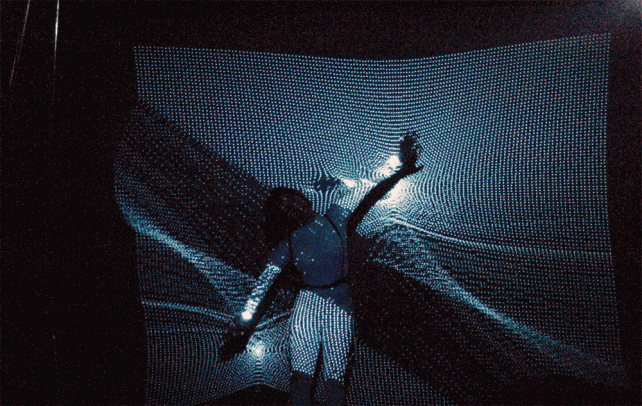 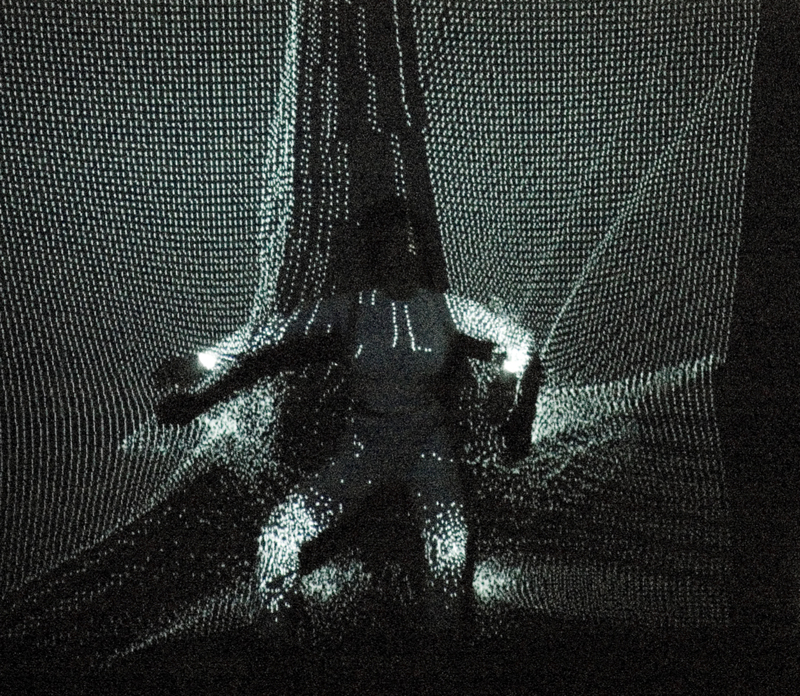 His body is dissolved into a video projection consisting of thousands of little autonomous particles. 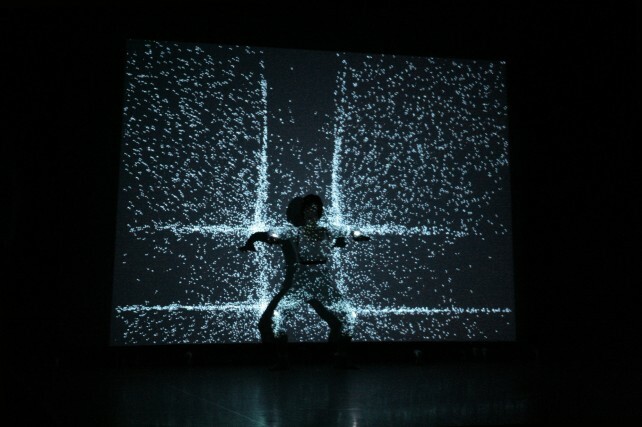 Theses particles react to the movement of the dancers body. On the other side of the mirror, thousands of micro sounds move inside the body of the spectator, depending on the movement of the dancer. 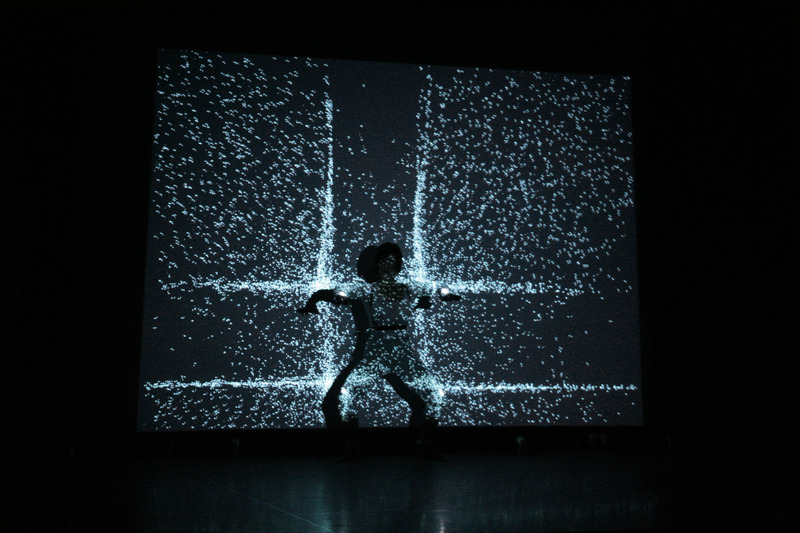 Slowly, the spectator discovers that his breathing affects also the behavior of the light particles, which influence those of the micro-sounds which influence the body’s state of the spectator which influence his breathing… But also the particles reacting on the breath rhythm influences the choreography, which influences the micro-sounds… The spectator, dancer and the machines establish a cybernetic relation where the body is the privileged medium of expression and exchange. 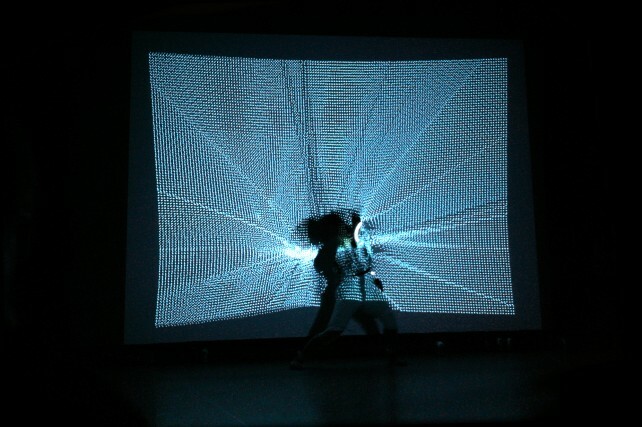 At the end of the session the spectator is invited to leave a message on the blog about his personal experience.